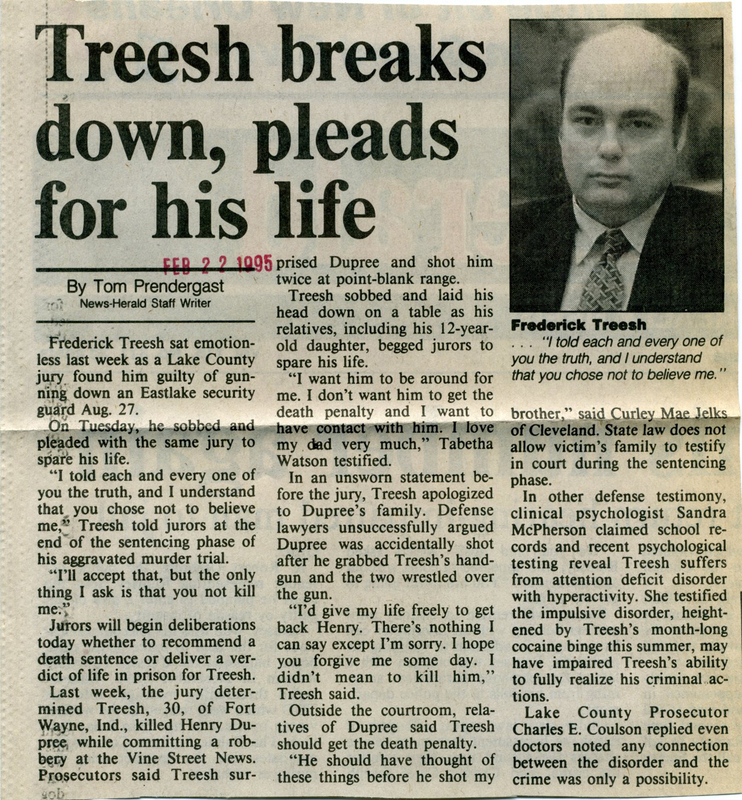 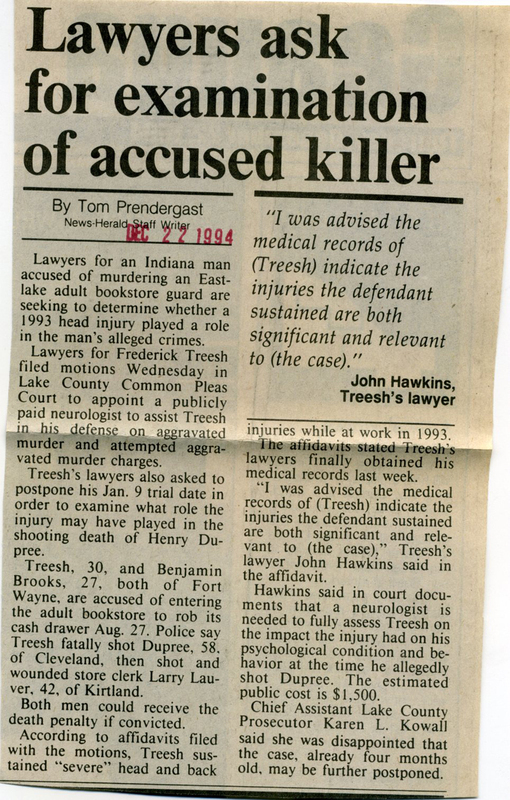 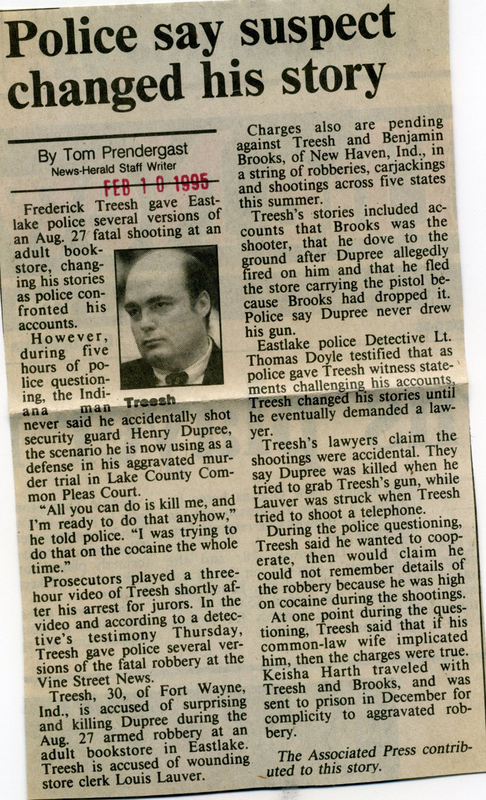 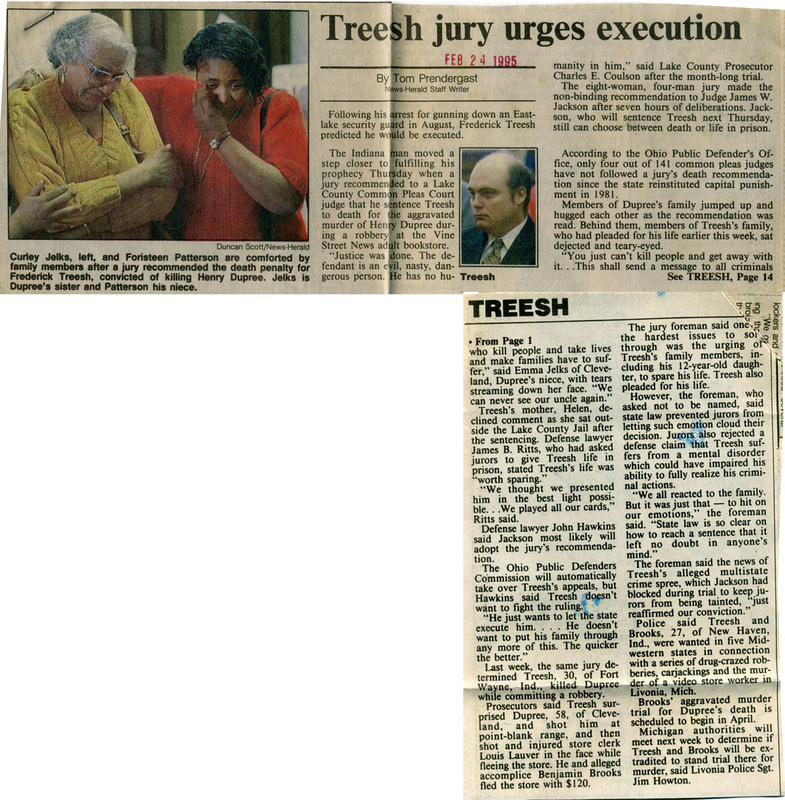 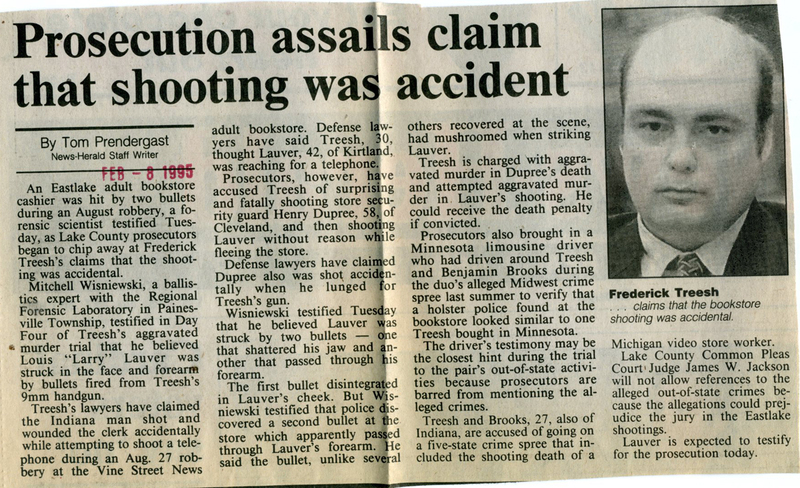 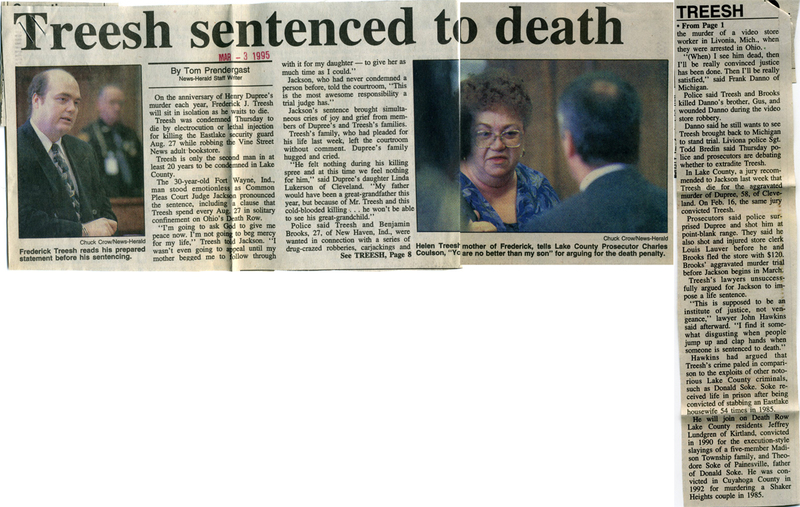 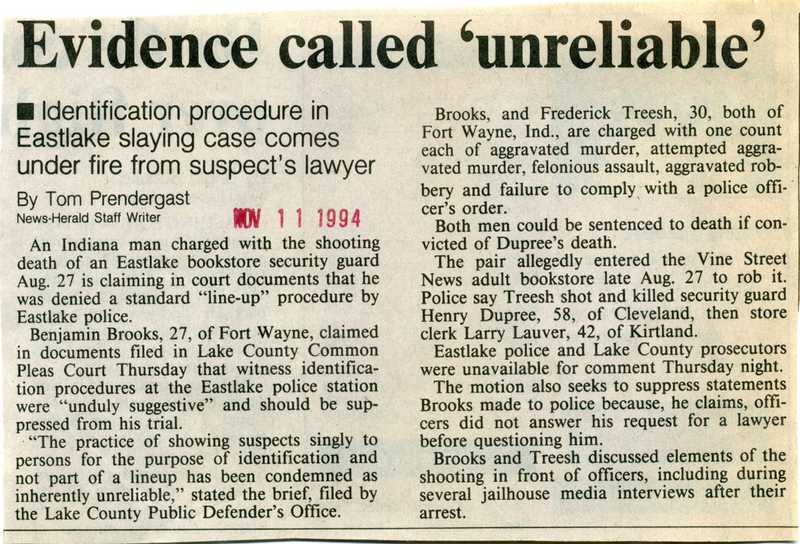 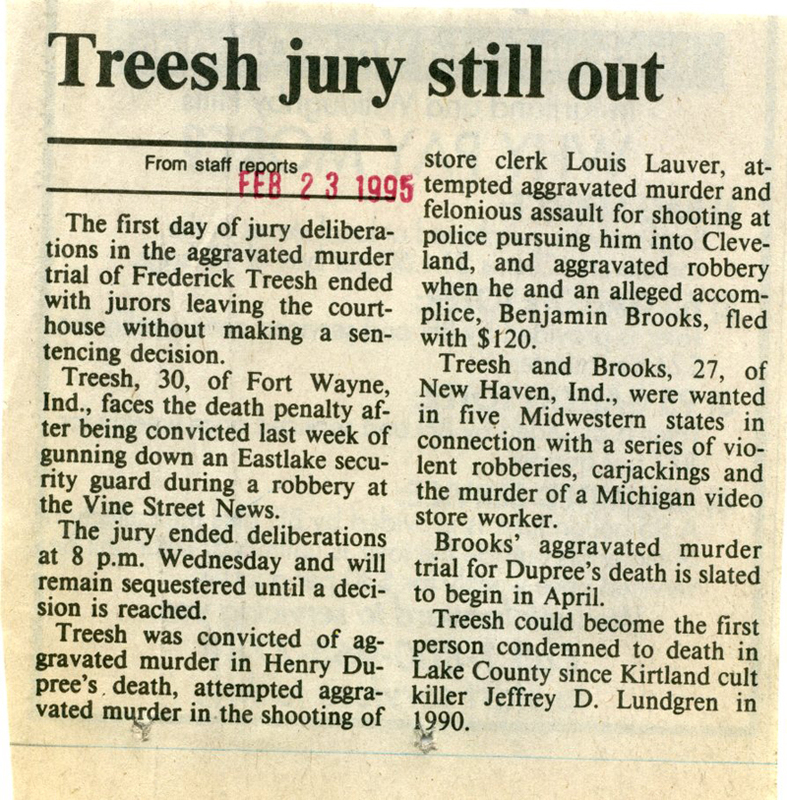 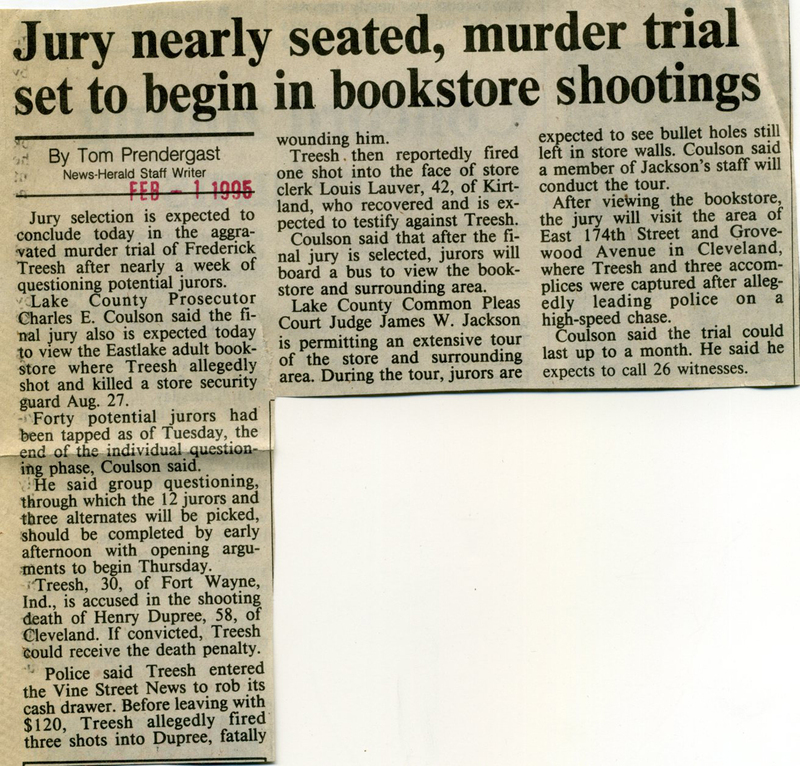 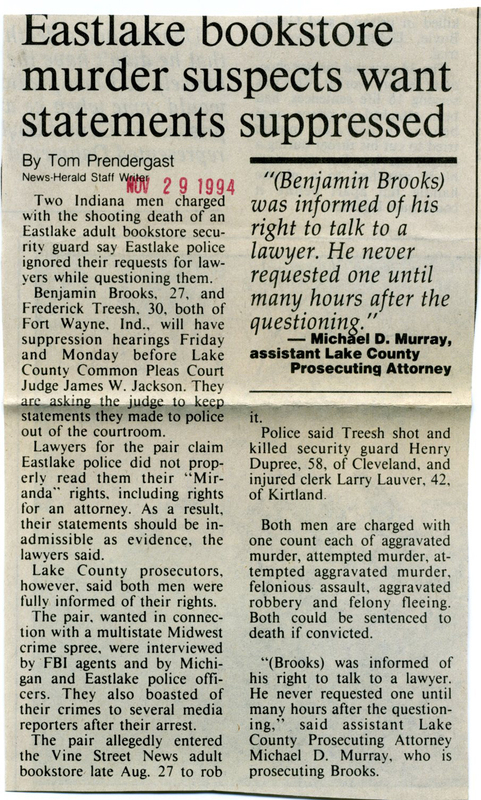 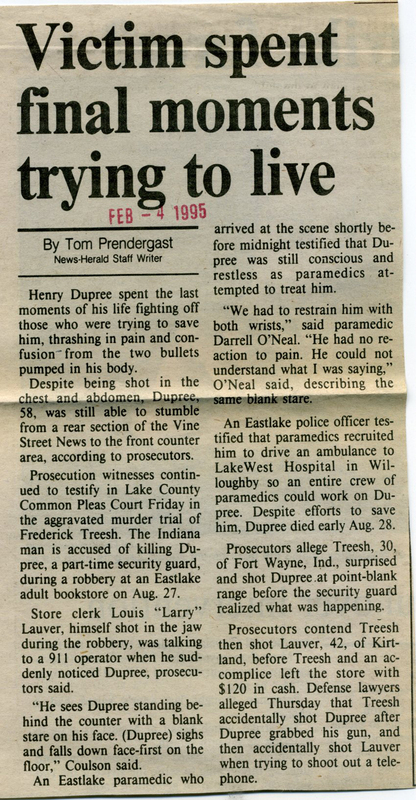 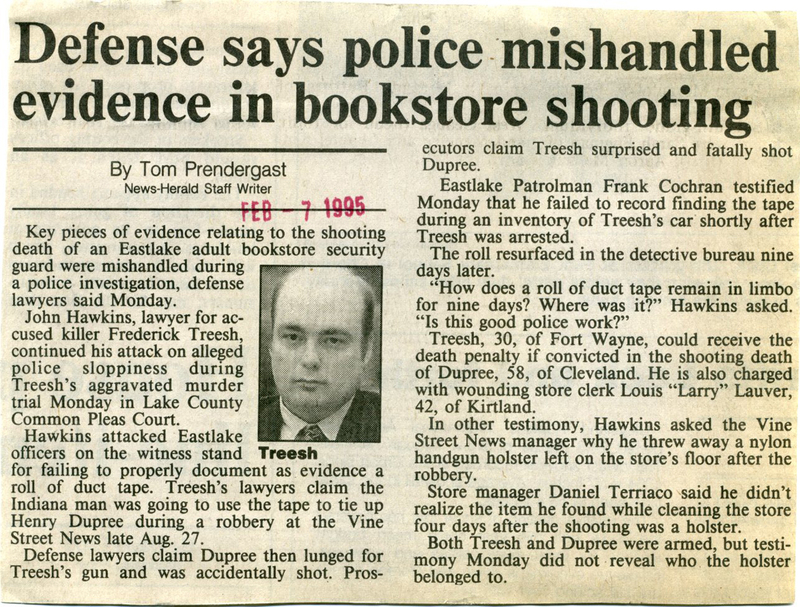 Frederick Treesh was executed today in the 1994 shooting death of Cleveland resident Henry Dupree in 1994 in Eastlake. 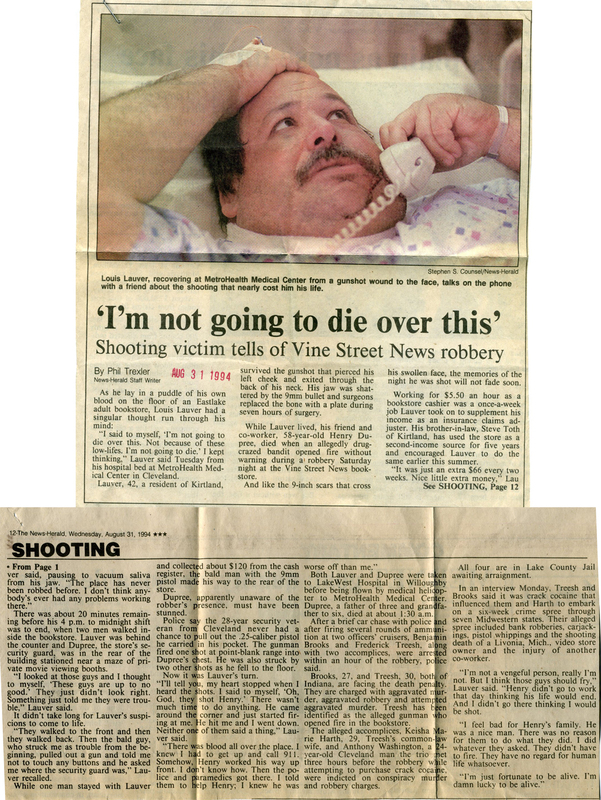 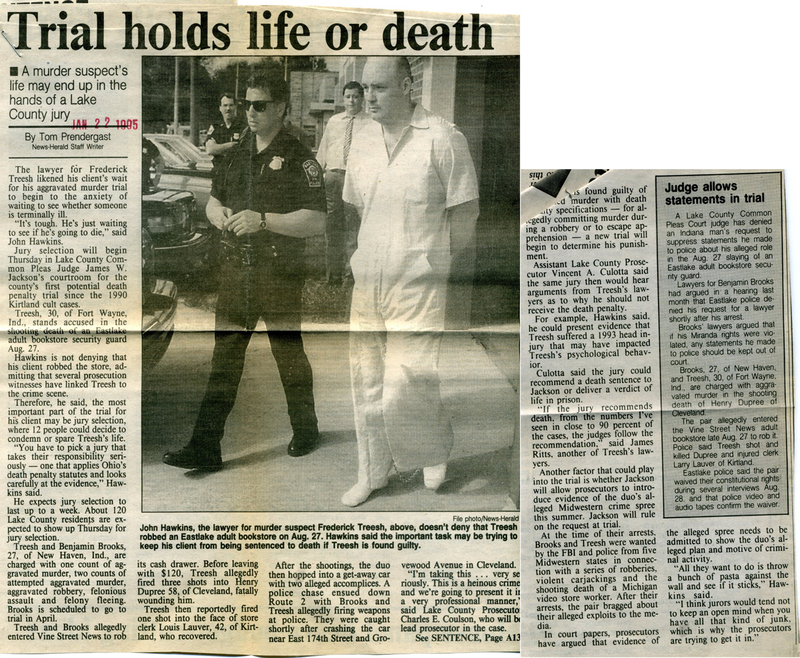 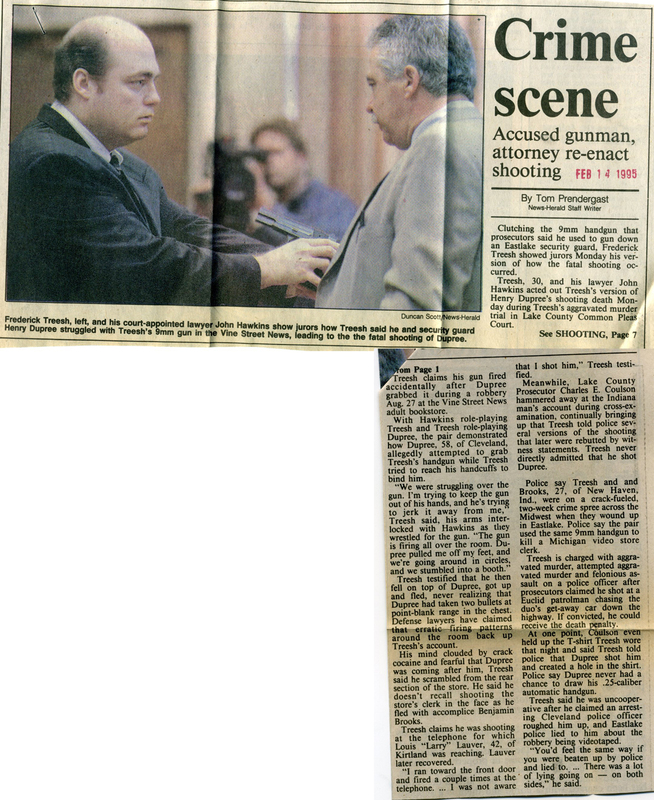 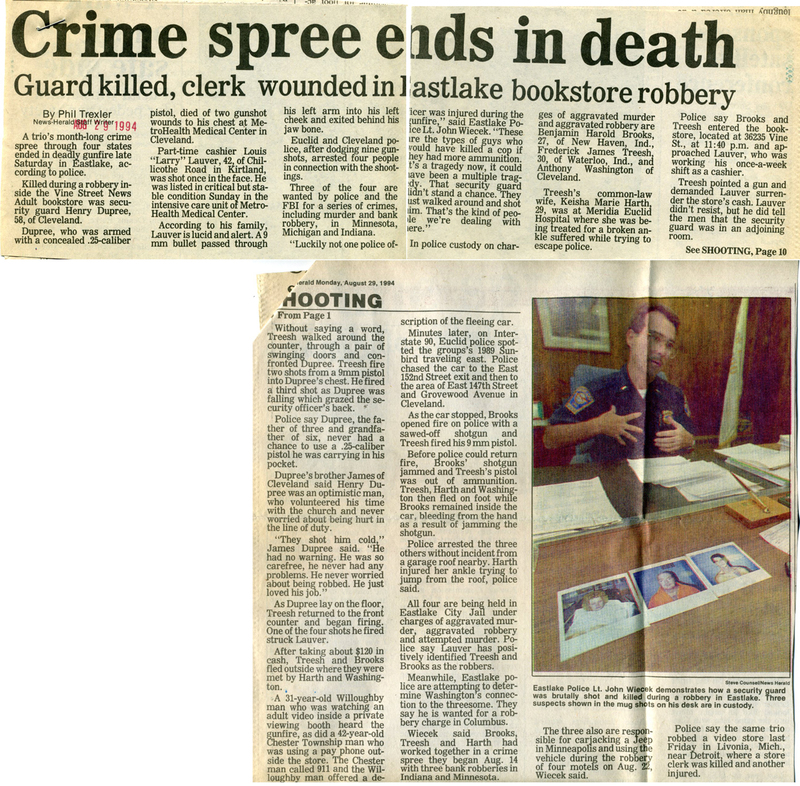 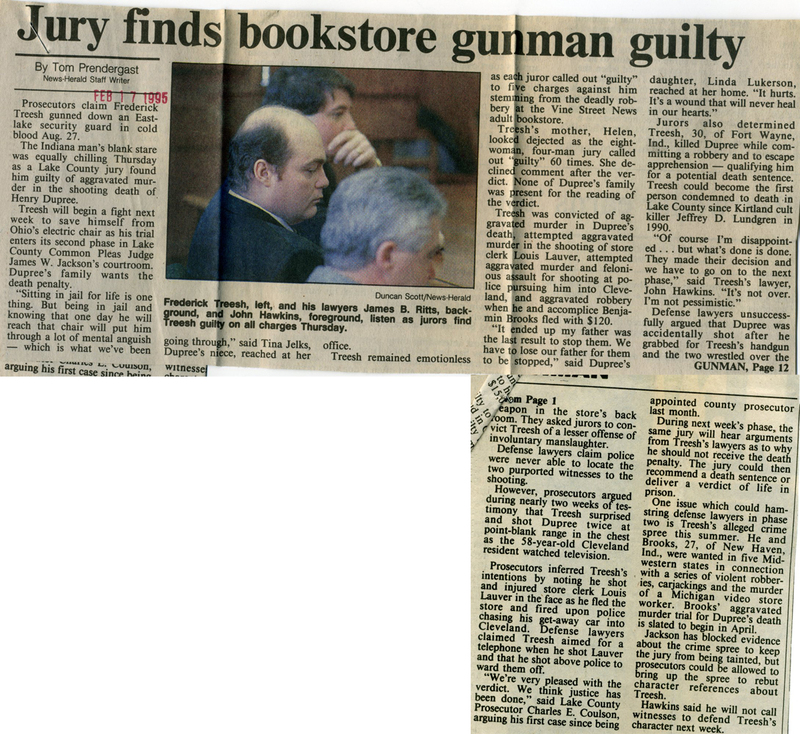 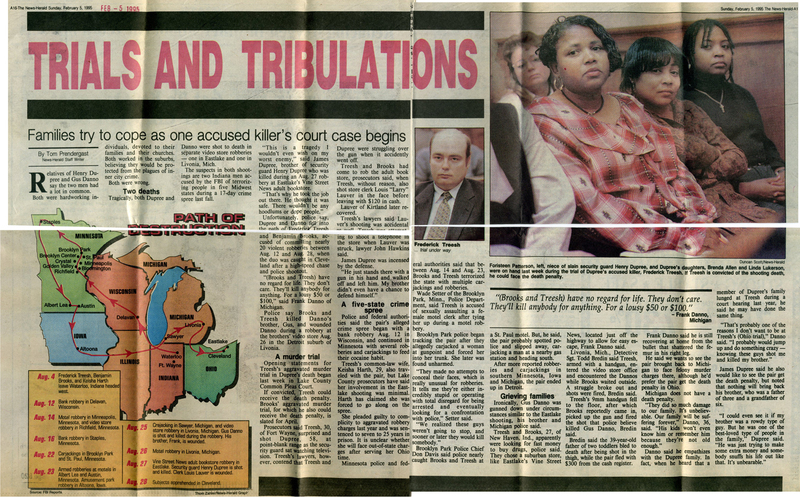 I pulled some articles from The News-Herald archive, and scanned and embedded them below. 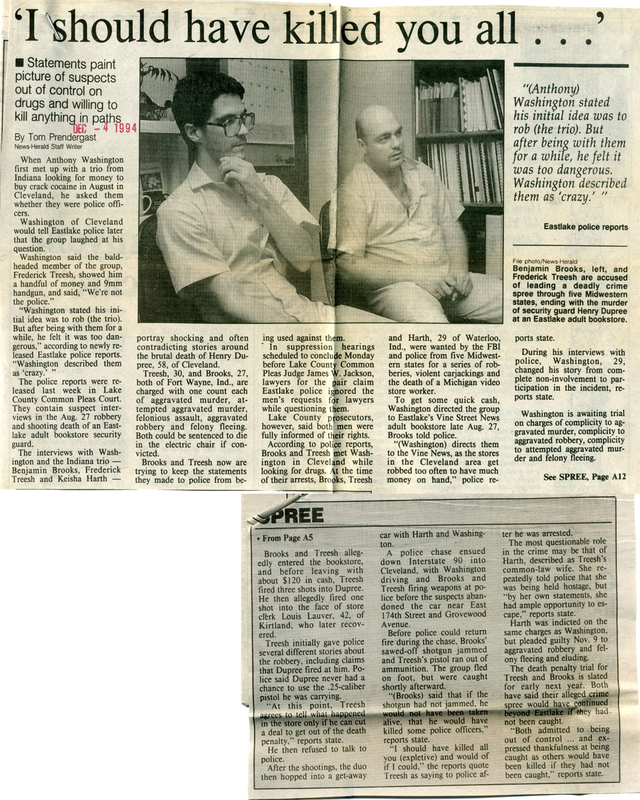 Click any image to enlarge and read more.